It's A Bronx Tale Takeover Week at The Ensemblist. Every day this week, we hear from a cast member about the characters they've created, their take on the actions in the play, as well as some fun "Easter eggs" that audience members can look for when they come to see the show. Today, we hear from ensemblist Brianna-Marie Bell. I play the caring, confident best friend Denise in the current running of A Bronx Tale on Broadway at the Longacre Theater. In the film, Jane is the only female character from Webster Avenue. Adding best friends Denise and Frieda allows a supporting sisterhood for Jane that was not present in the film. I truly enjoy playing the role of Denise. Coming into this role as a replacement, I wanted to make the character different from anyone that has played it before. I wanted to make it my own. Some subtle hints would be the way Denise dresses; her shirt is buttoned to the top and her hair is in a clean, non-messy ponytail. Denise is smart and well spoken. She wants to further her education (Hint: she is in the same English class as Calogero and she knows good writing when she hears it.) 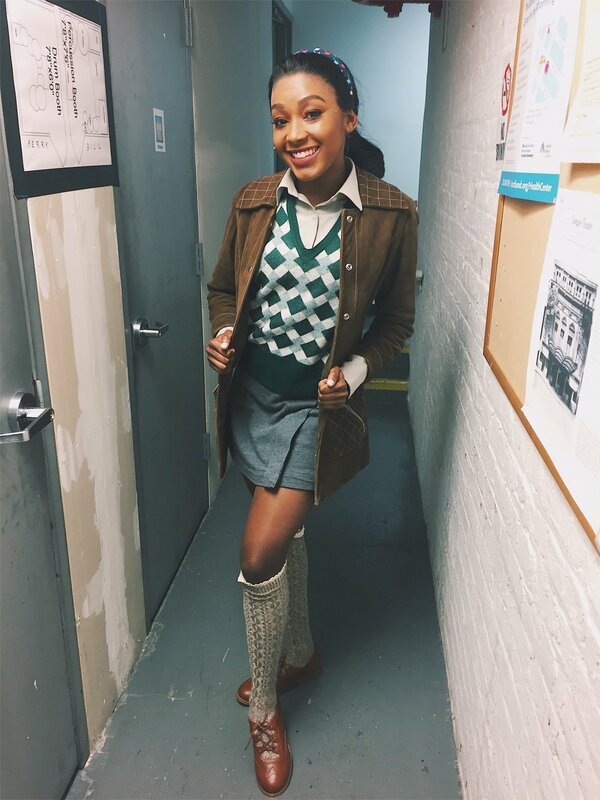 In playing Denise, I try to incorporate my own Brianna-Marie into the character – for example, I love the ponytail so much that I make sure that I at least swing it 10 times during the show! So free feel to stop by the Longacre to watch me and my many hair flips sitting on the stoop of Webster Avenue.